Two weeks after my flight and hike in the Sierra Nevada, I was flying again - this time to the Colorado Rockies! 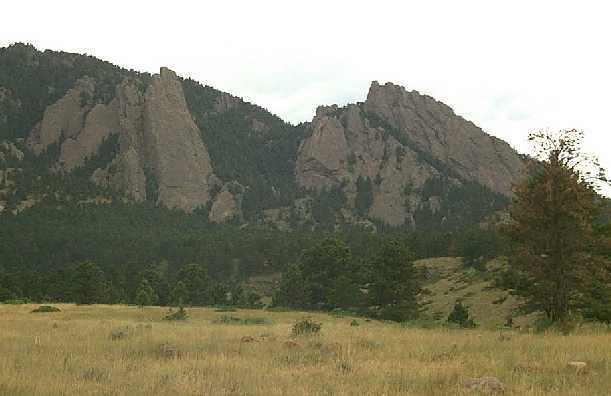 My job was sending me to Boulder for training, and the flight plans left me with most of a spare day to explore an area I had not seen before. Monday through Friday were spent learning new ways to squeeze data from computers, with spare time mostly spent either eating, swimming, or staring at the sky, which might be either brilliant blue, cloud-top white or thunderstorm black. 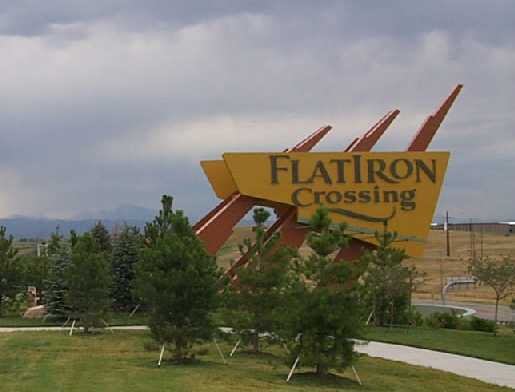 On Monday I dropped in on the nearby Flatiron Crossing mall, where my sister-in-law works; we never made contact beyond a few phone calls, but at least I saw where she spends much of her time and energy! 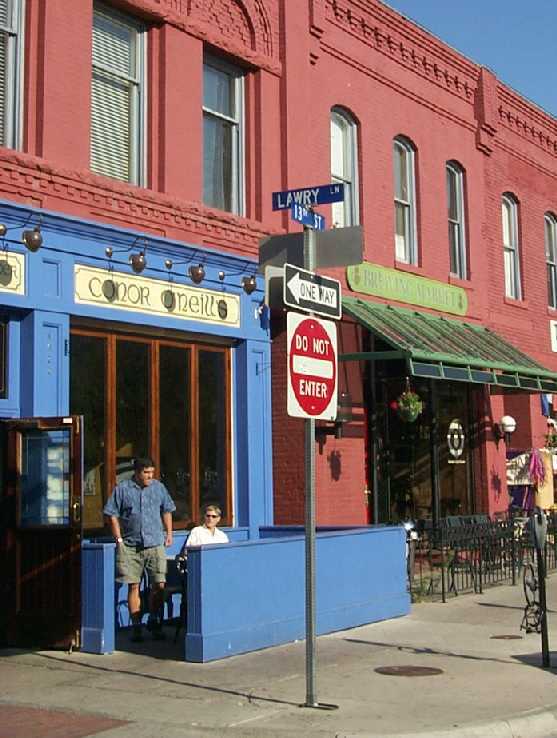 After strolling through Boulder's Pearl Street area (and the Mountain Sun pub/brewery) on Tuesday, a twenty-minute rainstorm caught up to me. Unlike Oregon, however, the rain never really got me or the sidewalks wet, so I continued to walk all the way to the motel in the rain. While I would have enjoyed using a loaner-bike for the week, the hot temperatures and rain/thunder chances dissuaded me. Good news came after Wednesday, when I learned that Saturday would only be a half-day class, leaving even more time to explore the area! I wandered to the local sports shop, where I picked up a map, water-bottle and drink-mix for a possible Sunday hike in the hills. I decided the area around Chiquita Peak and Ypsilon Mt. looked very promising, and I looked forward to the views from 13000 feet. 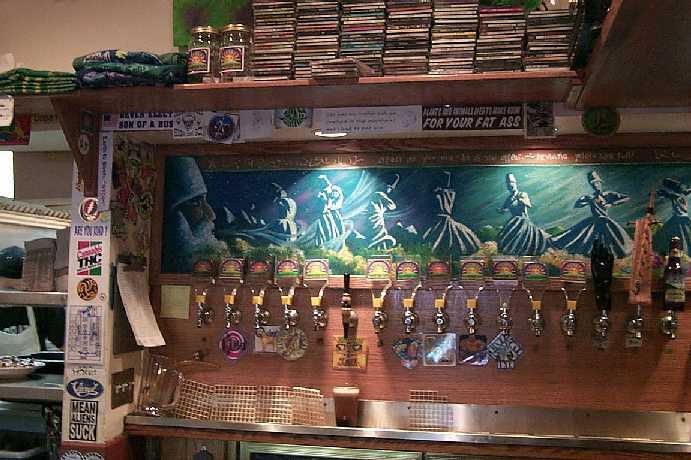 When Saturday's class wound up I dashed to the car and headed for Longmont and its Left Hand Tap Room for souveniers, for myself and other southpaw relatives. After that I decided to head for Rocky Mt. Park a day early in order to scout the route. It is a beautiful area that deserved more time than I had available, and I enjoyed the slow but pretty drive up Fall River's one-way dirt road. I jumped out and took the four-minute walk to Chapin Pass, where the next day's climb would begin, then returned to the car and drove to the highest passes. I took many images and grabbed a few souveniers there as well, then wound slowly down the Trail Ridge road back toward Boulder. I stayed off the main highways here, heading south to Nederland before descending beautiful Boulder Canyon to the motel. While resting up for an early start, I contemplated my timing: up before six, reach the trailhead by 7:30, up and back before noon, reach the airport by 3. Any delays would leave me stranded, which while tempting (a Yes concert was taking place in Denver that night!!) would not sit well with my employer. After packing everything and going to bed, I reluctantly explored my mind for a good plan 'B' and settled on Twin Sisters Peak, much closer to Boulder and less dependent on National Park traffic to get me to the airport on time. I awoke shortly after 5AM, checked out and headed back to Nederland. 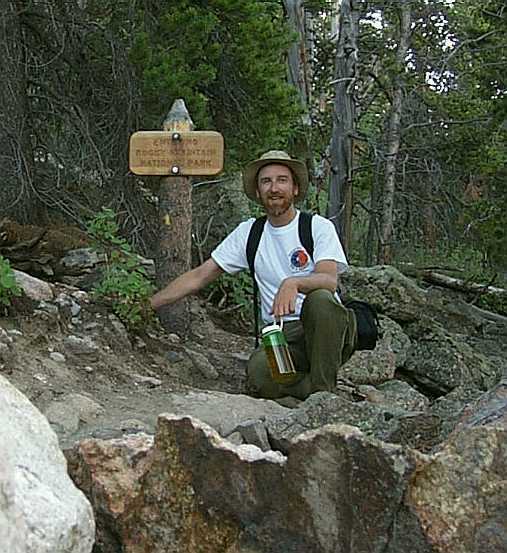 Heading north past Longs Peak, I reached the trailhead shortly after 7 o'clock, and by 7:20 I was on my way uphill. The path was steep and the temperature warm, but I made good time (still acclimated from the Sierra three weeks before, I guess) and was at the summit in two hours. From the 11400' mountain, Longs Peak and Mt. 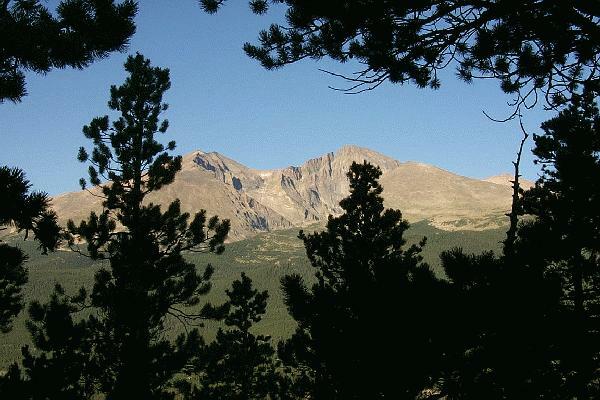 Meeker were very prominent to the southwest, with views south to the Indian Peaks area all the way to Pikes Peak. 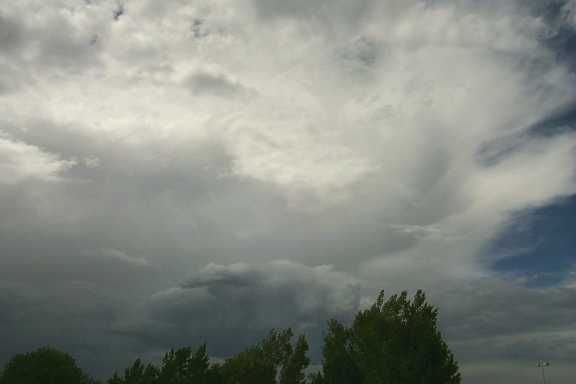 To the right of Longs stood many other high peaks, including Ypsilon and its satellite peaks, while to the east were puffy cumulus clouds obscuring Nebraska and Kansas. I climbed the eastern summit and relaxed for nearly an hour before heading back, meeting dozens of ascending parties on the way. I was back at the car before noon, which left me three hours to reach the airport - more than enough time to relax along the way. Actually I didn't relax much and arrived an hour earlier than necessary, but after turning the rental car in and reaching the concourse some of that extra time was long gone. The flight home was most entertaining! 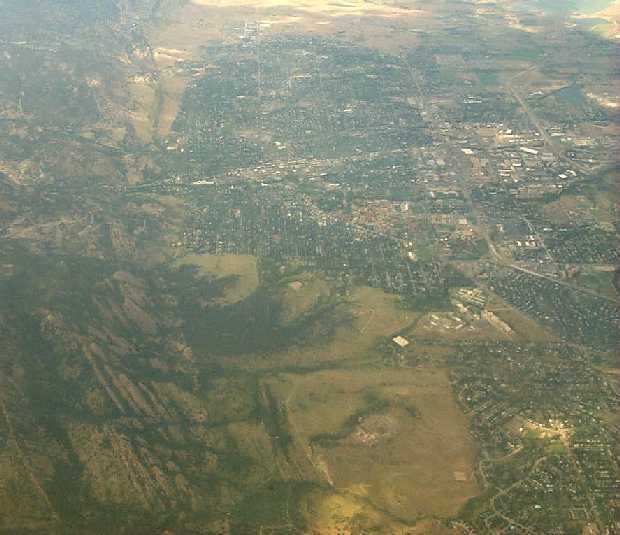 Our flight took us directly over Boulder, providing a new angle on the Flatirons. Soon we were over the Indian Peaks, looking straight down into tarns and cirques. Grand Lake was visible for a while, followed later by what might have been the Uncompaghre Plateau. Soon we were in canyon country, with several multicolored walls presenting themselves out the window. Finally, the Wasatch stood forth as we approached Provo and Salt Lake City from the south. Another airport snack was followed by the flight home, with more distant views of the Sawtooth and Wallowa mountains and a view straight down to the John Day valley. 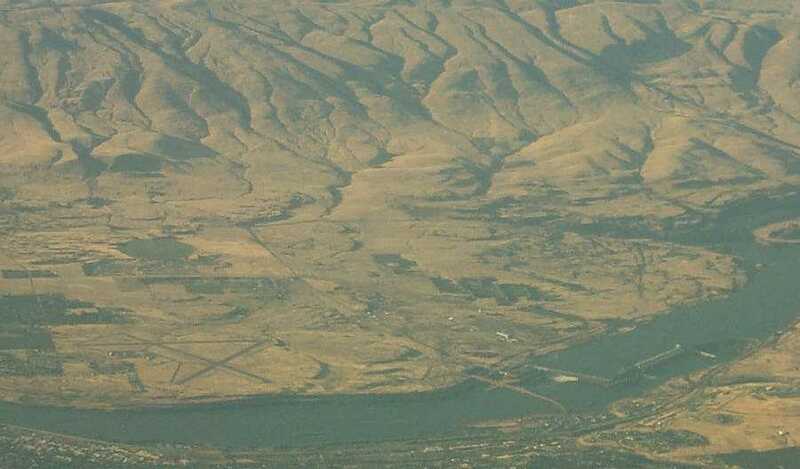 The Columbia came into view near the Dalles, and the dam there was visibly spilling water to cheer up the tiny salmon and their political allies despite the low water conditions. Mt. Hood looked in our port windows (alas, I was on the starboard side), and in no time we were on the ground again. 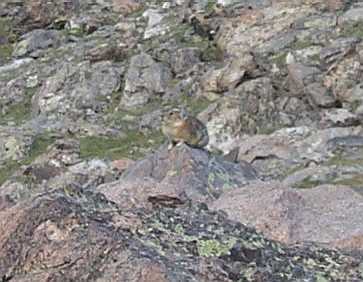 Pika below summit - loud and large! aerial views of SE Utah canyons! approaching Salt Lake City from the SE - Wasatch Mts.